Hello! It’s a Sunday afternoon, I have the time to make this blog post because I just finished submitting an online work and wanted to utilize my idle time here while I have the chance. This is just going to be quick, because this game I’m about to write is simple yet fun to play, especially with 2 players. This game is Balloon Fight. Did you know about this game? Have you played this game too? I bet you do, it was a fun game to play in early years. When I played this game to record for my site… I just felt nostalgia, it made me remember all the other games a NES console has to offer. The objective is simple and also challenging. 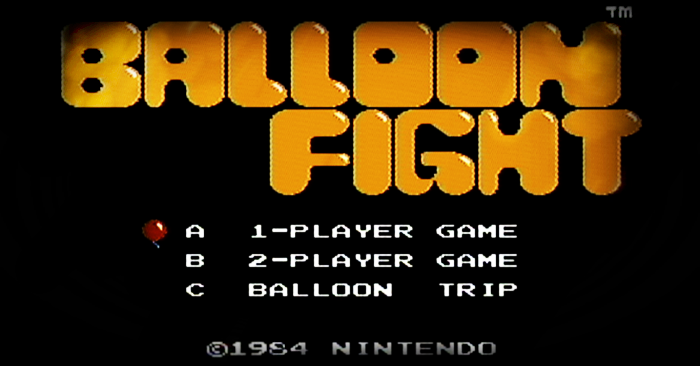 The players will control one balloon fighter per player, each fighter will have to pop the enemy’s balloons and tackle them whilst descending, because they pump their own balloons once they land and they take flight and fight again. The player has to be careful, because navigating your fighter is hard, pressing too much on a button may cause your character to lose control, but it’s still manageable. Every time you’ve completed a stage, the platforms and enemies become more difficult to clear. I almost forgot, this game has friendly fire, so make sure you do not pop the other player’s balloons. If you were a NES Console owner, you’ll realize that almost all of the games have some sort of arrangement: complete a stage and the stage difficulty increases, there will be bonus stages to earn points as you progress, although cooperative style but making it a competition with the other player by having the highest points. With that being said- it’s still fun to play! Playing the game using fraps. Very short video clip, but it shows enough of how fun this game is to play with.